Here’s 10 tiny habits you can add to your life starting from when you wake up and until you go to sleep. Start with adding one tiny habit a week into your daily routine. 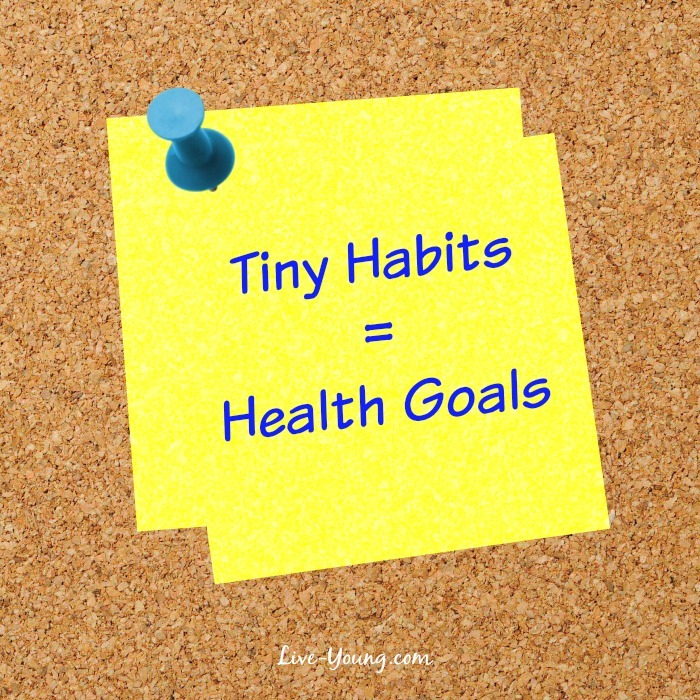 You will be amazed at how tiny habits increase your health goal results. 2. Hydrate! Our bodies dehydrate while we sleep. First thing in the morning drink 2 – 8oz glasses of water. Continue drinking water throughout the day consuming half your body weight in ounces. For example, you weight 150 lbs / 2 = 75 ounces or around 9 – 8oz glasses a day. 3. Steps. Look for simple ways to get more exercise each day. Park the car far away from the door at work, the shopping mall and grocery store. Take the stairs when you can too! 4. Protein. Plan three healthy meals; breakfast, lunch and dinner plus two snacks in the morning and afternoon each day. Eat a small amount of protein with each meal to help stabilize blood sugar levels and keep the hunger pains away. 5. Stretch. It seems like sitting is the new smoking. The sedentary life is slowly killing us. Take frequent breaks to reboot yourself both physically and mentally. Stand up, stretch, walk away from the computer for 5-10 minutes and refill your water jug. 6. Vegetables. Eat plant-based foods in abundance. Fill your plate with leafy greens like kale, spinach, arugula, and Romaine. Add pumpkin seeds, avocado slices, red peppers, zucchini, radishes, and green onions. Always measure your salad dressing using about a tablespoon. 7. Silence. Spend 5-10 minutes by yourself in a quiet space each day. Find a comfortable place to sit, relax, close your eyes, breathe and reflect on your day. 8. Setbacks. Stick to it! Adding new tiny habits is a process and it’s for the long-term. 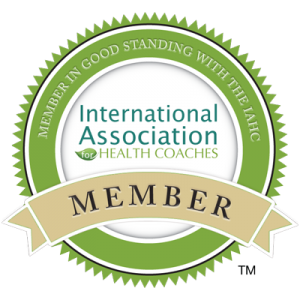 Remember you are working towards living a healthier life! 9. Unplug. About an hour before bedtime begin to unplug from your smart phone, TV, and computer. Why? Because the blue hue on electronics mimic daylight to the brain. 10. Sleep. Even though hydration is a very important tiny habit for healthy living, it’s a good idea to cut off liquids a couple of hours before going to bed. Hopefully you’ll have less bathroom trips this way. If you are thirsty right before bedtime, it’s ok to have a small glass of water. Strive to work on one new tiny habit from this list each week. That way it won’t seem so overwhelming. Each new tiny habit will help you move closer to reaching your health goals with ease. Before you realize it, you will have added all 10 tiny habits into your life! Enjoy this post? Share it with your friends on your favorite social sites.